I am trying to find a way to extract an audio wav file from a mp4 video file that is uploaded by a web user using ffmpeg using Django. If I will find to extract audio, then where should I save it in my project? 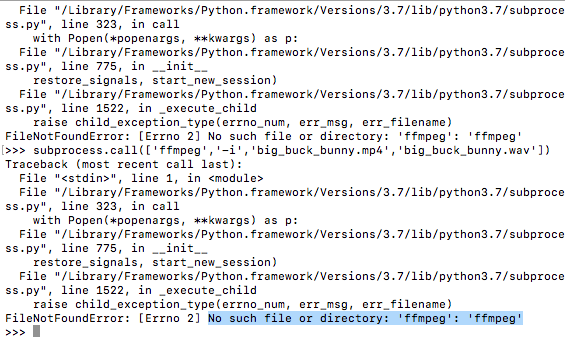 I tried it with "Django-ffmpeg", but didn't convert and was stuck in 'pending conversion' message. secondly use "import tempfile" library to store extracted file temporary. Not the answer you're looking for? Browse other questions tagged python django video ffmpeg or ask your own question.